Multiple reasons. Let me first start by providing context. 1st wave = Folgers, Yuban, etc.. The 3rd wave is viewed as a step above the 2nd wave. It's artisanal, extra special, and high quality. Mostly local coffee companies occupy this category - some small and medium-sized but none very large. 3rd wavers are rising in popularity in America's most progressive cities. · Vision: Our vision is to reinvent the coffee experience. A cup of Philz is special. You start by ordering with a friendly Barista that helps you choose a blend they think you'll like best, craft it for you on the spot, and add anything you want in it to taste (milk, sugar, etc. or black, as many do). You don't leave our stores until you are 100% satisfied, but we do pretty well at blowing people's socks off after the first sip - our desired outcome. When people wake up in the morning, I want them to say, "Let's go grab a Philz." Instead of "Lets go grab a latte." · Secret recipe blends: Our secret recipe blends with charming names capture the essence of my dad's experience after his first sip. These blends were created by my dad (Phil) over decades, and are made of high quality varietals from around the world. My favorite is the Tesora, a medium roast and our most popular blend. We also offer a few varietals (single origin beans) at most of our stores, which are also really good. · Coffee personalized to taste: We believe that the best coffee in the world is the coffee that comes to each person's individual taste. Everyone's different and what may taste great to one person may not be good to another. At Philz, there is really something for everyone and that's why we have such a diverse group of awesome customers who visit our stores. · Pioneers of the Coffee Bar: When you walk into a Philz, it's more like a bar than an actual coffee shop with Baristas who act as bartenders. At most artisanal coffee companies, customers pay first for a drink, but at Philz, we've reversed the process: order with your Barista, then pay. The reason for this is because we want our customers to interact directly with the Barista making their coffee. · Specialization: To focus on being exceptional at personalized, handcrafted coffee we don't serve espresso at our stores. When my dad, Phil, first shared the idea of Philz, his friends' response was along the lines of: "You're an idiot. There's no way you're going to succeed without lattes. You need to have espresso." Thank goodness we didn't listen. Every month, we convert thousands of latte/espresso drinkers into Philz Phanatics. 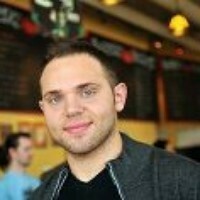 · Local Relevance: Each Philz fits in community it lives in. The real design and build-out of a store begins on day one of opening - the team and community complete the design of each store, and it's never ending. Our people have autonomy. We believe that's locally relevant. · Passionate people: The most important people at Philz are the people behind the counter. They are everything. Just like their mission is to better their customers' days with an amazing coffee experience, our focus as senior leadership is to better their day so they leave their shift saying, "I love working at Philz." (BTW if anyone is interested in joining the Philz team and changing the coffee world, visit us here to learn more. Excuse our career site as it's under construction). I don't believe we are in the coffee business. I believe we are in the people's business serving coffee. After all, coffee is fun. You can't take it too seriously. It's habitual and part of so many people's days. We are fortunate to have the opportunity to touch everyone's day with the best damn coffee we can. One day, I want to have 1000 stores, but the way I look at it is having one store 1000 times which means scaling mindfully; preserving the core values we work so hard to uphold every day. To really understand what I'm talking about, I highly recommend you come by and give Philz a try. Let the Barista know if it's your first time and they will take care of you. I'd love to hear feedback on people's experiences. When did drip coffee become such a sensation in San Francisco, and why? Why are some San Francisco residents angry with technology companies and their workers? Are San Jose and the Santa Clara Valley losing relevance as the tech industry moves north to San Francisco?